Valley View Elementary School in Bloomington is among the schools that have tapped into tens of millions of state dollars to provide structured pre-kindergarten learning free of charge to children, especially those from families who might not be able to afford it otherwise. Sixty kids are in the program this year. Valley View Principal Cori Thompson is a believer. "We are seeing positive results. Our research shows students in our pre-K program have significantly higher kindergarten readiness scores," Thompson said. Thompson is worried about youngsters losing that edge if the Bloomington district loses $280,000 in state funding beginning in the 2019 school year. "It would be devastating to them if they didn't have that opportunity," said Thompson. Gov. Mark Dayton and his administration are driving the point home. They want the Legislature to guarantee the money comes through in the future, because a $50 million infusion approved last year is no sure bet to continue. While 74 school districts do have some dollars locked in, Education Commissioner Brenda Casselius said there are 59 that would see some or all of their pre-K aid expire. 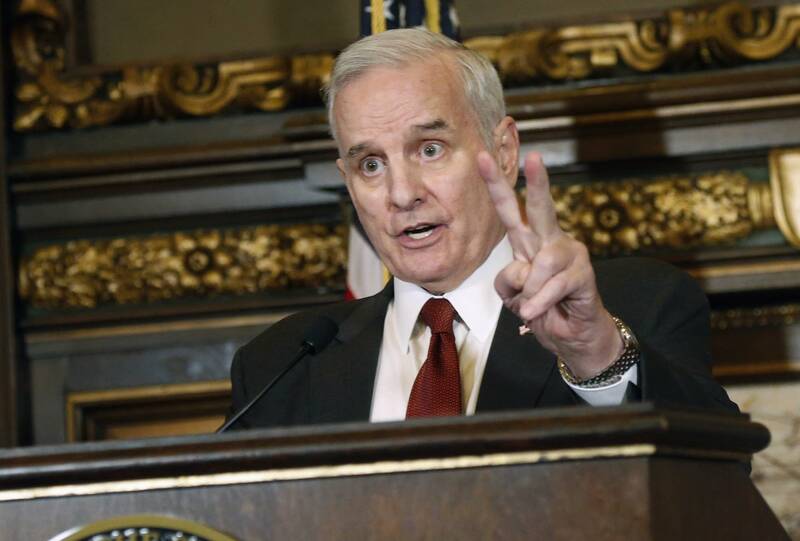 "It's just not fair for these other 59 not to have ongoing funding after they've changed their facilities, hired their teachers, gotten new resources, made promises to families to the pull the rug out from underneath these families," Dayton said. Dayton said it would be a shame. "It's the best strategy we know for closing the achievement gap before it gets started, before it gets locked in. So why wouldn't we do everything we possibly can? There are other states, states like Oklahoma, which we consider to be not at Minnesota's level of education quality. They've had universal pre-K for a decade. I mean, we're behind." The debate is something of a repeat. Republicans who lead the Legislature have been reluctant for years to meet Dayton's pre-kindergarten requests. Some argue the program favors public schools over other options and creates an expectation that all four-year-olds will move into the system. Senate E-12 Finance Committee Chair Carla Nelson, R-Rochester, said one size doesn't necessarily fit all when it comes to preschool programs. "Now, they could be with a home. They could be with a great wonderful aunt or granny. They could be in-home child care. They could be center care. They could be church care. It could be head start," Nelson said. "There are all kinds of delivery mechanisms." She's waiting for the results of a legislative auditor's report on early childhood programs. The report expected out next month will examine the costs of various programs, their objectives and gaps that might exist around the state. "We're not sure what is working and what is working the best for kids and for certain kids," Nelson said. She said that makes Dayton's request premature. She added that it's not a year where lawmakers are setting a state budget. Dayton suspects something else is at play. "Some legislators know that it is very important to me, so they hold out against it in part for that reason," he said. "But I'm determined to get it."